Much of the mainstream press – both Indian and Western – has applauded the move as a gutsy play by a maverick politician that will only help India’s march to its preordained super power status. While the immediate economic effects are still hotly contested, the political aftermath has received only minimal attention. The few commentators who take a more political economy approach focus on the role demonetization may play in cementing Modi’s stranglehold in the key battleground state of Uttar Pradesh (UP). It goes to the polls next year. UP is notorious for electoral bribery, where Modi’s chief challenger Mayavathi quite openly pays off the poor to vote for her party. While demonetization has surely decimated the illegal funds used in the state’s electoral politics, there are much larger, long term consequences unfolding that will only fortify Modi’s position atop Indian politics. Consider the deal that Modi has dealt to any opposition party member, whether in UP or across the country. Assuming that she, like virtually every Indian, hoards cash, there are three options. She could step forward and register the money, taking the 45% hit on the value that Modi has offered evaders. While this already cuts their liquid wealth in nearly half, it also provides the BJP with new material for mortification. The Indian media will lap up any story of a major politician coming forward with illegal funds and inevitably destroy one’s re-election chances. Second, she could attempt to sell the notes on the black market but, given that bills have been going at a 60% haircut, she will still get a kick in the monetary gut. If she gets caught in this process, the electoral consequences would be even more dire. Or a politician could just accept they’ve lost the majority of their cash since it at least comes without the risk of public humiliation. Modi has placed dissenters at the mercy of the spotlight’s harsh glare, while he’s taken away at least half their political war chest. This anti-corruption gambit becomes especially important when you consider the fact that Modi’s biggest critics, the likes of Arvind Kejriwal, have earlier used promises of curbing corruption to capture the public’s imagination. If they get caught red-handed, Modi’s power will go unquestioned. This pitiful predicament is just part one of the political gains. The other side of the equation involves the signals Modi has sent to his own support base. Few doubt that Modi informed his immediate, industrialist cabal (or, in polisci speak, selectorate). This makes them further indebted to his reign while also signals to anyone who was not informed where they stand in the political pecking order. Modi was an outsider who very much hijacked the BJP. His removal of black money ensures that anyone within the party still hoping to challenge him, be this subnational BJP affiliates or members of the old right wing establishment, certainly know who is in charge now. If they want the money that will facilitate future vote-buying, Modi will be playing traffic cop. Demonetization will likely have some positive effects on mitigating corruption. But the fact that a 2000 Rupee note has also been introduced, while high-level bribery can still happen through gold or foreign bank accounts, means we need to be skeptical. 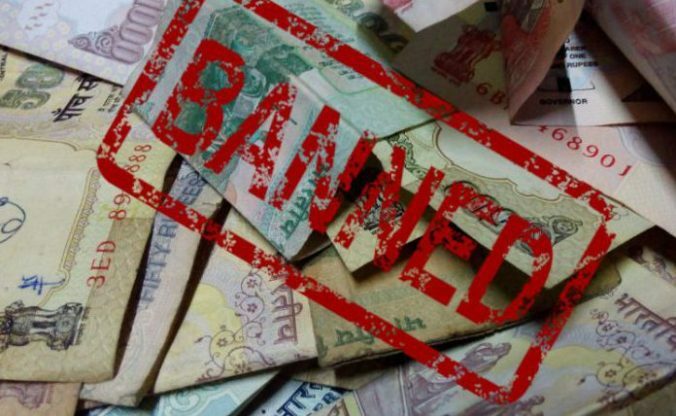 Demonetization is not only a push toward modernization but also part and parcel of today’s authoritarian toolkit: using liberal norms, such as anti-corruption, to crack down on domestic opposition. This has become a standard practice in Xi JinPing’s consolidation efforts over the past year while Putin has ostentatiously tried to bring back his opposition’s foreign pots of gold stashed in London. All this at a time when the Donald pretends to drain the swamp but keeps getting stuck in nepotistic quagmires. These actions are united by their populist appeal. Modi’s core constituency is the rising Indian middle class that views corruption as the fundamental thorn in India’s economic ambitions. Much like with President-elect Trump, voters are content to turn a blind eye to his xenophobia in the name of economic development, especially if it comes at the political establishment’s expense. Xi JinPing’s erasure of opposition cuts at the core threat to the CCP’s local legitimacy – the view that corruption is eroding its egalitarian roots. Putin is able to build domestic credibility when he takes down members of the kleptocracy, even if he does this selectively. Such acts of apparent valiance make these men seem like they are rising to the challenges posed by an international order that is influx (even if they are the ones fomenting the volatility in the first place). As economic anxiety fuels frustration in each country, albeit for different structural reasons, having a henchman that seems willing to “do what it takes” is almost understandable. Even if this may be the optimal strategy, public perceptions are creating the ideal opportunity for the personalist playbook. Living in an age of memes, strongmen are almost trolling foreign commentators by using cosmopolitan calling cries for democratic decay. As many a constructivist has argued, we know norms exist when others try to exploit them. Unfortunately, we still lack a thorough understanding of the conditions under which this maneuvering succeeds (or fails) in curbing one’s opposition. Modi’s manipulation of liberal norms, for illiberal ends, deflects the international community’s scrutiny, while power consolidates in the hands of yet another authoritarian leader.